DT regular tipper/commenter Jeff sent in a tip with a low buck Porsche Boxster and asked the question "have these things hit bottom yet?" Not sure if they've hit absolute bottom, but if they get much cheaper they'll be giving them away when you upgrade your phone plan. 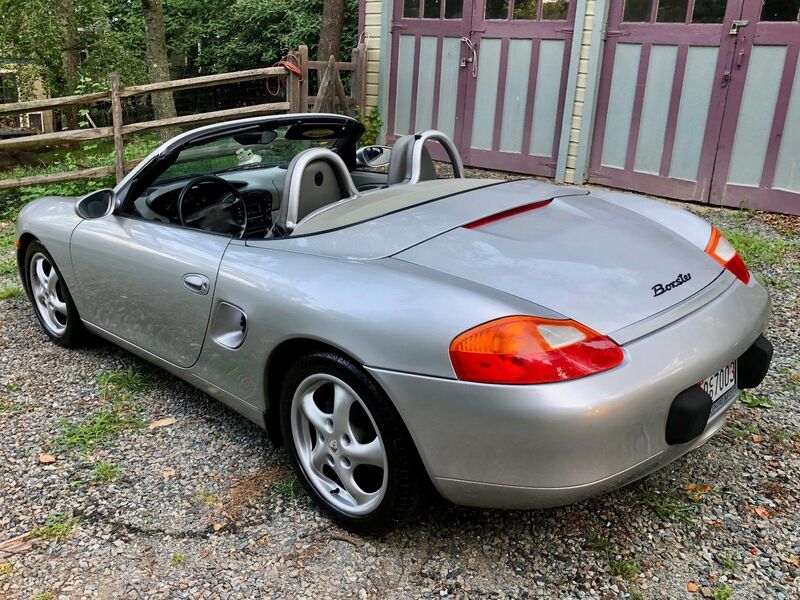 Find this 2000 Porsche Boxster here on eBay offered for $5,800 buy-it-now located in Takoma Park, MD. After almost nine years of ownership I need to let this great car go because of health issues. 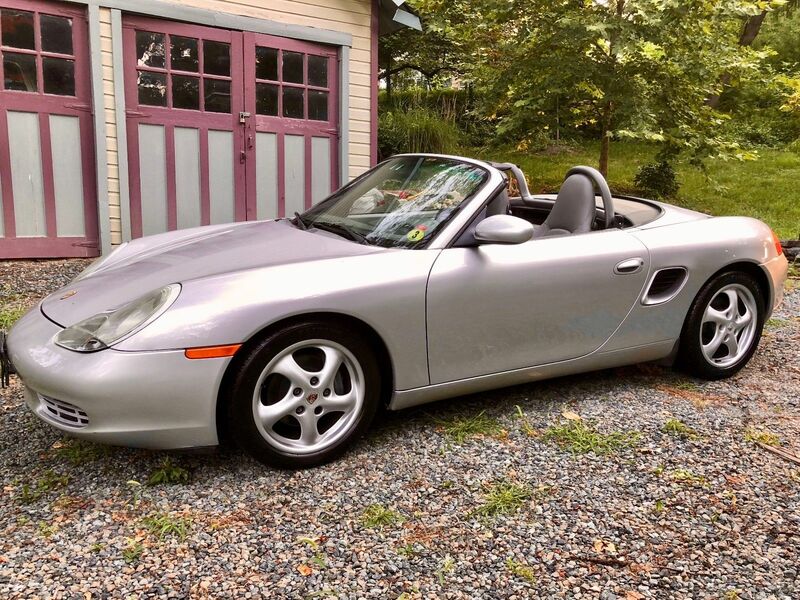 Clean Carfax, window sticker, and 18 years of service records- since new- from Porsche dealer and independent specialist shop. Options include full leather in Graphite Grey, premium Arctic Silver paint, litronic headlights, 17" wheels. Regular maintenance from day one, new shocks and tires 20K miles ago, oil filter split and examined with every oil change, no issues. Solid car with a few daily driver blemishes but still catches eyes, likely the most sports car you can buy today at this price. Pickup in Takoma Park Maryland 20912. Buyer will assist shipper to load vehicle etc. -he said with palpable sarcasm. "oil filter split and inspected with every regular oil change: no problems" is that better than replacing the IMS bearing? Jeff here! :D Yeah, if the IMS was done you would think it would stated in big, bold copy. If it is the original IMS, 127k out of it is pretty dang good..... although talk about driving on eggshells now! Could you run the VIN to see if the IMS had been replaced? Are health issues related to IMS service pending....? 1500 for the IMS. 3k if you do the rms and the clutch at the same time. Peanuts for such a sweetly balanced sports car. If the car has gone 120K without the IMS failing, and was driven regularly, as it has been, it is very unlikely to fail. I agree. Does anyone else on here ever look at cars with higher miles as being more reliable? If I see a M5, M3 or 911 with 200k+ I always think - that thing has proven itself. "less than 8% failed, and often it was in the first 30K miles on cars that weren't driven regularly"